While the LEGO formula is familiar, it’s still proven entertainment. Add in accomplished voice acting like Mark Hammil as the Joker, and the enjoyment level increases. 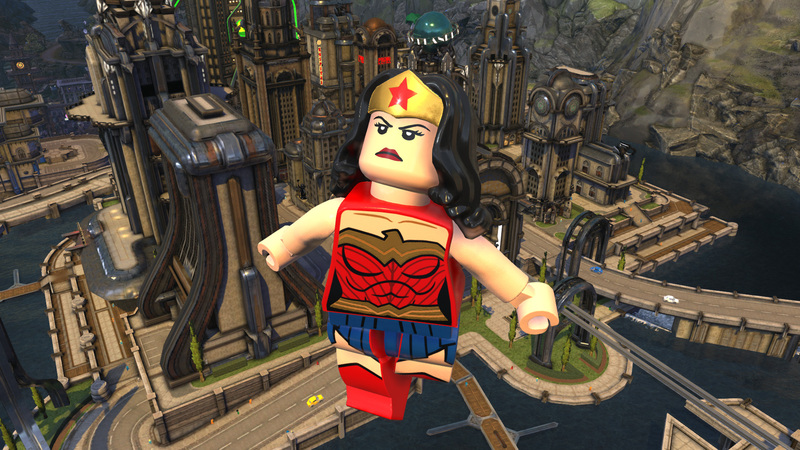 LEGO DC Super-Villains is rather buggy, but it’ll keep you playing, and fans should have it high on their wish list. A Lego game with an original story featuring a who’s who of DC villains (and a few heroes for good measure), a universe of great locations, and plenty of bricky humor. 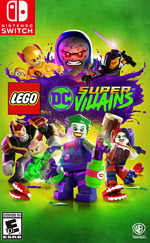 A few game killing bugs do hinder the overall experience (at least on Switch), but otherwise Lego DC Super-Villains is a blast to play, either alone or with another aspiring no-goodnick. 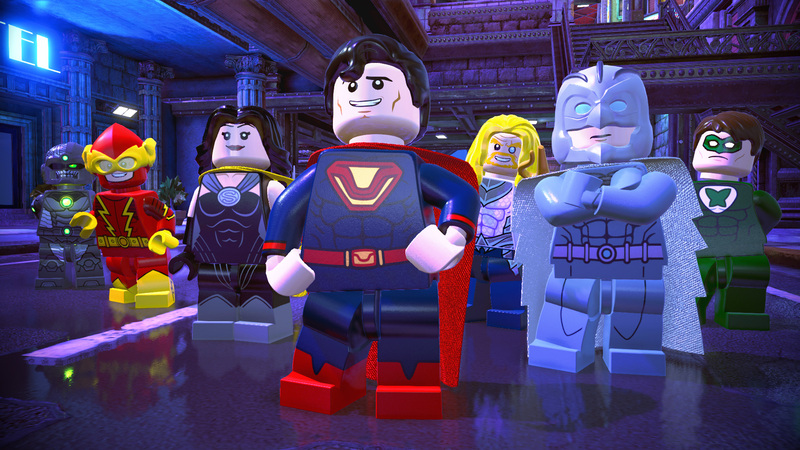 The core is the great use of DC characters placed in a fairly traditional Lego game. It’s a safe purchase. If you’ve played other Lego games, you probably know what you’re getting yourself into. A handful of flaws hold it back from being one of the “greats,” but I walked away impressed overall. It’s over-the-top, a little wacky, and it certainly has respect for the IP. As you’d expect, LEGO DC Super-Villains doesn’t make many attempts to change up the formula that’s served it so well for so long, but with a vast library of well-applied and famous baddies to draw from it offers a far more engaging and memorable story than the stretched-too-thin LEGO The Incredibles. 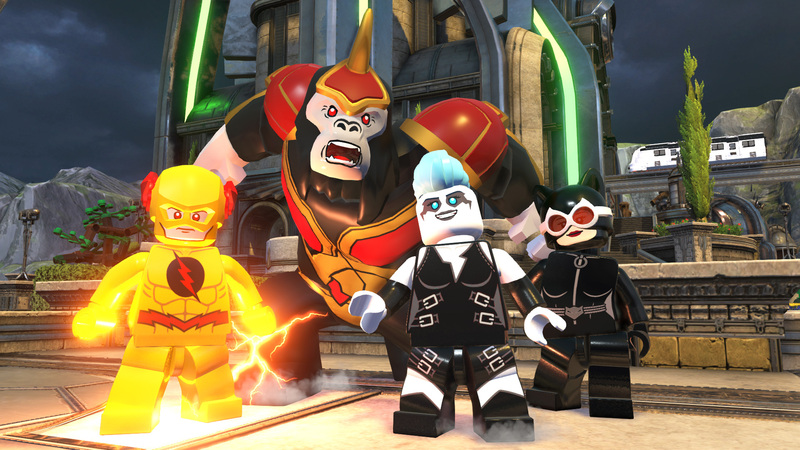 If you enjoy DC heroes and villains as characters and don’t mind the simplistic gameplay and kid-friendly tone, then you'll like LEGO DC Super-Villains's super-powered romp through Gotham and Metropolis. Other than the shift in focus to villains (greater and lesser), this doesn’t reinvent the LEGO wheel. The massive list of playable characters doing LEGO things in big cities is a familiar formula, but the all-star voice cast helps elevate the story and action to make this a bit more than just kid-pandering fan service. 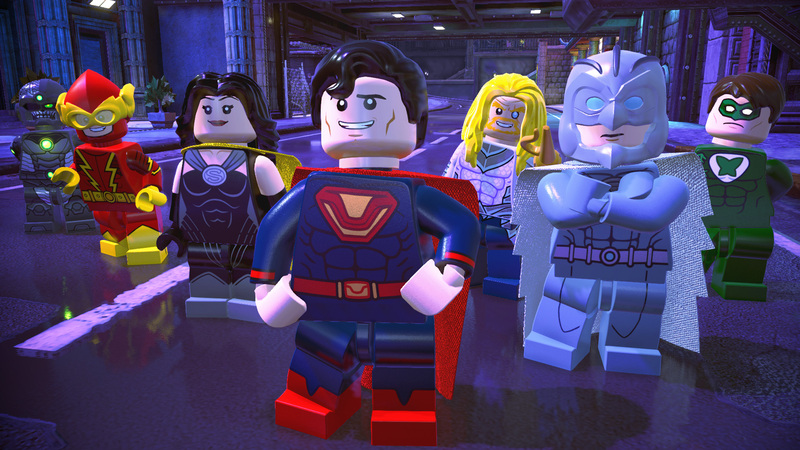 To sum up, then, Lego DC Super-Villains is a great-looking and sounding title. The soundtrack starts off with a bang and overall we thought that the music was a delight. There's plenty of fun to be had here, with loads to do as you while away the hours. The hub, in particular, is great to get lost in between missions. That said, it feels like some of the characters were underused and there was some we'd have liked to have seen more of. LEGO DC Súper-Villanos es uno de los juegos de LEGO más disfrutable que hemos jugado en los últimos años. Sí, sigue siendo muy conservador en su propuesta, su nula dificultad puede aburrir a cualquiera que busque un mínimo de reto y cuesta quitarse de la cabeza esa sensación de hastío y agotamiento de la que ya adolece la fórmula, aunque estos problemas han sabido combatirse con un buen diseño de niveles y jefes. 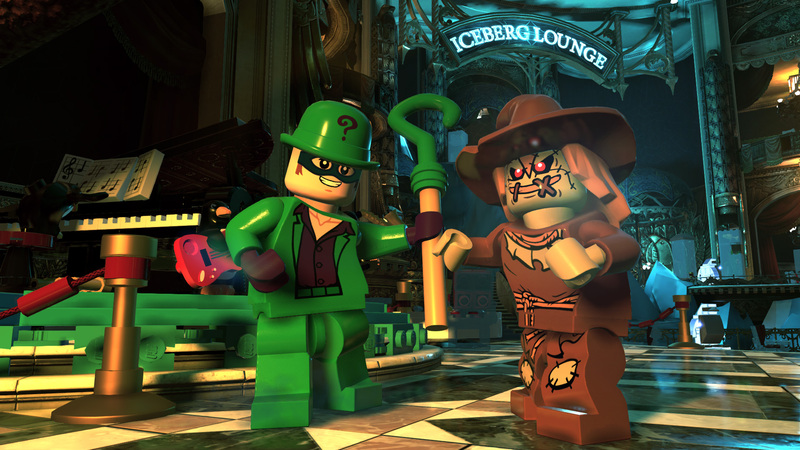 LEGO DC Super-Villains prend très peu de risques et récite les gammes de la franchise à la note près. Excellente initiation au jeu vidéo, ce nouveau titre des studios TT Games cible les amateurs de DC Comics par son fan service assumé ainsi que les jeunes joueurs par le ton décalé de l’aventure et l’accessibilité d’un gameplay pensé pour ne jamais bloquer la progression. Apesar da quantidade e qualidade elevada do conteúdo que apresenta, o seu custo elevado, sobretudo caso o jogador pretenda ter acesso a todo o conteúdo adicional disponível, torna a sua recomendação um pouco mais duvidoso, principalmente a quem já tenha outros títulos da série e não tenha especial interesse neste jogo. Apesar de não trazer nada de particularmente relevante no campo das novidades, inclui alguns segmentos que roçam o brilhantismo, a joker playhouse é um excelente exemplo, juntamente com a garantia de diversão permanente, graças a uma escrita competente e carregada de humor, aliada à personalidade própria dos figurões do mal da Detective Comics. La corposa campagna di LEGO DC Super-Villains ci propone un’avventura dal sapore inedito, quella vissuta dal punto di vista dei super-cattivi DC Comics. Gli storici rivali dei nostri eroi si sono rivelati dei grandi intrattenitori, nonostante una narrazione alquanto acerba e quella tradizionale formula gameplay che, oggi, potrebbe stufare anche il più grande amante dei titoli LEGO. Ancak DC’nin kötü karakterleri için ortaya konan içerikleri tüketmekten hoşlanıyorsanız, LEGO DC Super Villains’ı eğlenerek oynayacağınızdan emin olabilirsiniz. Tüm bunların yanında LEGO oyunlarından bu zamana kadar uzak kalmış bir oyuncuysanız ve DC evrenine merak duyuyorsanız, LEGO DC Super Villains’ı gördüğünüz yerde arkanıza bakmadan kaçmanız gerektiğini rahatlıkla söyleyebilirim.